Often overlooked as a minor enclave surrounded by the sprawling suburb of Fremont and confused with its New Jersey namesake, Newark, California, has been a hub of innovation commercially, industrially, and technologically, even before it officially became a city in 1955. 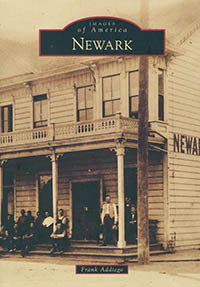 While Newark had already been home to factories and chemical plants, citizens were reticent to allow the small town to become an industrial section of the city and thus opted out of an ambitious plan among several hamlets to become Fremont. Since then, it has become a functioning city unto its own with its own infrastructure and a passionate constituency whose spirit has made Newark a friendly city but never a boring one.